protecting the well-being and value of your livestock. Acacia Products has now made available the opportunity to purchase your Flexible Horse Fence direct from the manufacturer. 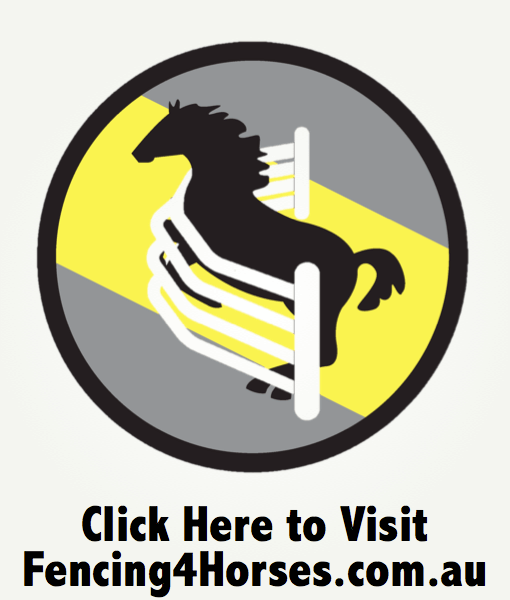 You can order, pay and organise delivery by clicking on the Bounce Back ® Horse Fence logo above. Can’t find what your looking for? Email us at bounceback@acaciaproducts.com.au. The Bounce Back ® system has been engineered to provide the optimum balance between equine safety and containment. Rails are highly visible and have no sharp edges. Low profile brackets compliment its smooth appearance and enhance protective qualities. Unlike traditional arena fencing systems, this fence will flex and return against low to medium level collision. In the case of severe impacts, Bounce Back ® is designed to reduce danger to livestock by stretching and cushioning impact. Our Bounce Back ® Horse Fencing ideas ensure a higher level of safety due to their flexible, plastic build. Horses are fast and strong animals, so a less forgiving horse fence can potentially increase your vet bills and injure your animals unnecessarily. Our horse fencing does not splinter either, and doesn’t have sharp edges or corners. For DIY installations and contractors Bounce Back ® provides a durable, aesthetically pleasing, easy to install, high quality solution to your horse fencing needs. Bounce Back ® is proudly 100% Australia owned, and has been manufactured in our Western Sydney location for over 34 years.